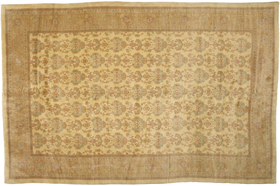 Romanian Gallery Rug 12'00 X 18'00 From Esmaili Rugs Collection. 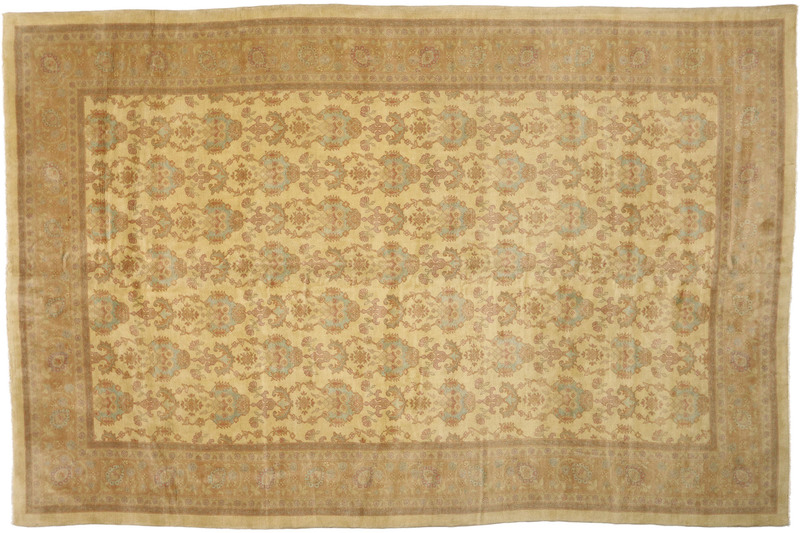 A lovely allover pattern in teal blue, pink and brown float happily across the golden field on this beautiful Romanian gallery rug. The soft pastel colors of the elaborate allover emblem pattern create a well-balanced composition. A lavish botanical border and delicate series of guard bands complement the dainty repeating motifs featured within the composition. 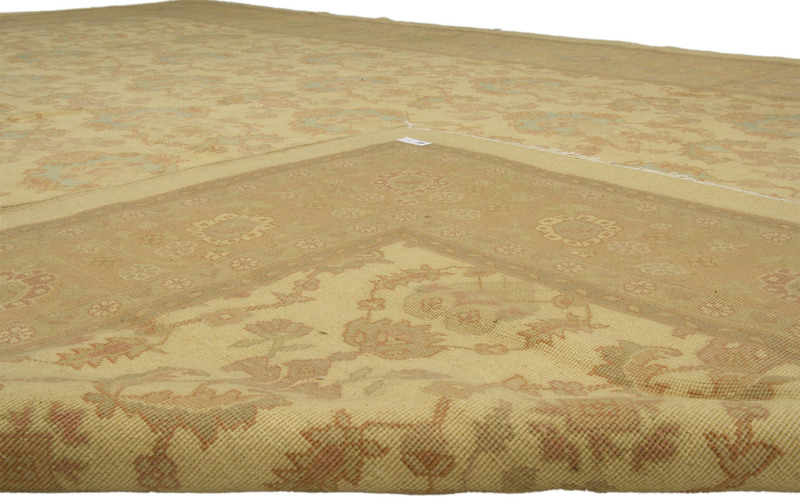 This gorgeous European rug is a beautifully representative Romanian example to the tradition in which it was made. Possessing a marvelous convergence of Rococo and Victorian era, this eclectic style can be easily recreated in one’s home. 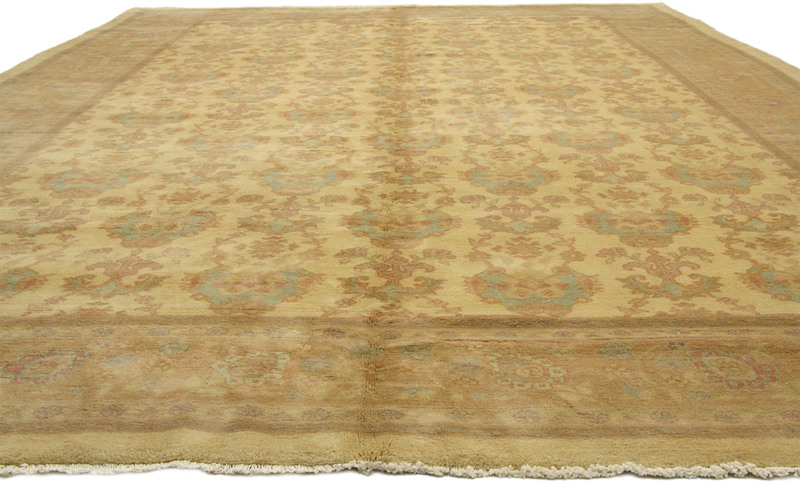 With its refined and ornamental composition, this Romanian rug will enhance the surroundings with its grandeur size and magnificent style. 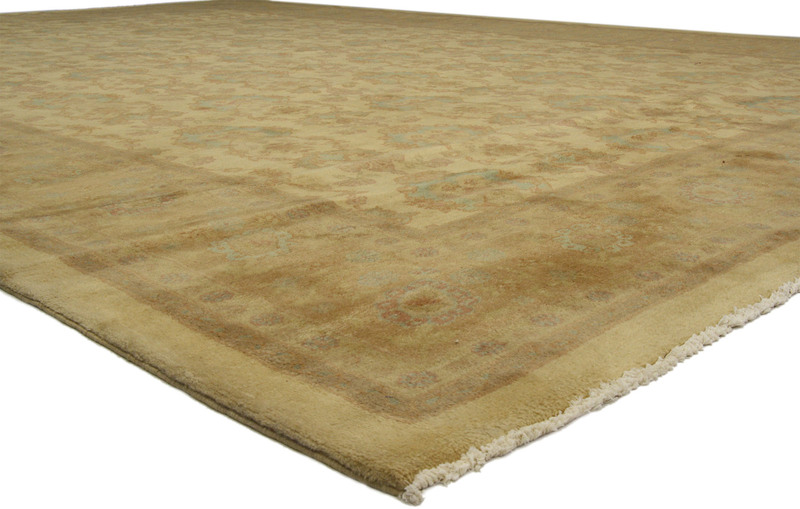 This stunning new rug features old-world charm rendered in a conventional style that incorporates an effervescent modernism and gentle playfulness.